The number of U.S. heroin users has grown by nearly 300,000 over a decade, with the bulk of the increase among whites, according to a new government report. Experts think the increase was driven by people switching from opioid painkillers to cheaper heroin. The Centers for Disease Control and Prevention released the report Tuesday. It's based on annual face-to-face surveys of about 67,000 Americans — the government's main source of data on use of illegal drugs. In recent surveys, nearly 3 in every 1,000 Americans said they used heroin in the previous year. That's up from under 2 per 1,000 about a decade ago, a 62 percent increase which translates to hundreds of thousands more people, government researchers said. The findings mirror trends seen in earlier reports, which noted marked increases in heroin use in people who are white and living outside of major cities, said Katherine Keyes, a Columbia University epidemiologist who researches drug abuse issues. But the new report offers some additional details about people using heroin, government scientists said. While heroin use more than doubled among whites, it seemed to level off in other racial and ethnic groups, the report found. But it grew among different income levels, in different parts of the country. And the rate of heroin use doubled in women — a more dramatic rise than what was seen in men. For years, officials have focused their worry on misuse of prescription opioid painkillers like Vicodin and OxyContin. Experts say recent restrictions on prescribing such painkillers may be reducing illicit supplies of them at a time when the heroin supply has been increasing. 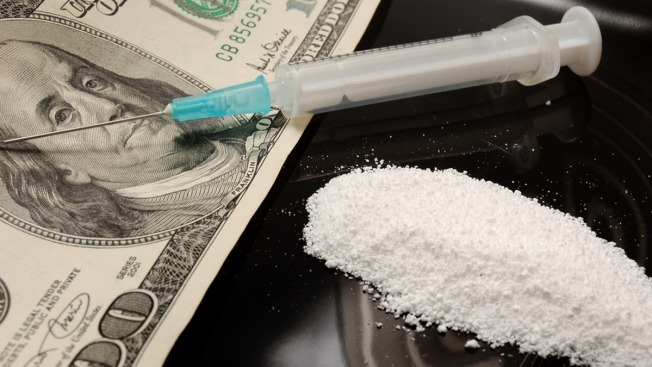 Heroin has become a popular alternative. It is essentially the same chemical as that in the prescription painkillers, but it costs roughly five times less on the street, said CDC Director Dr. Tom Frieden. "An increasing number of people are primed for heroin use because they were addicted to an opioid painkiller," Frieden said. The new report found that people who abused opioid painkillers were 40 times more likely to abuse heroin. The heroin death rate quadrupled over a decade, reaching nearly 8,300 in 2013, with most of the fatal overdoses involving other drugs at the same time — most often cocaine. Deaths involving opioid painkillers have been leveling off but continue to be more common than heroin-related deaths, government statistics show.